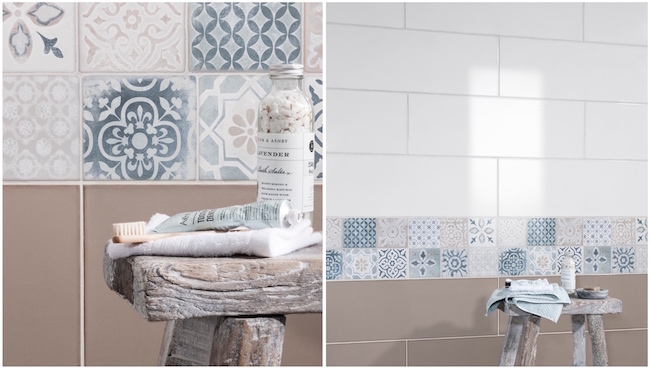 Blog >> What's Your Tile Style? 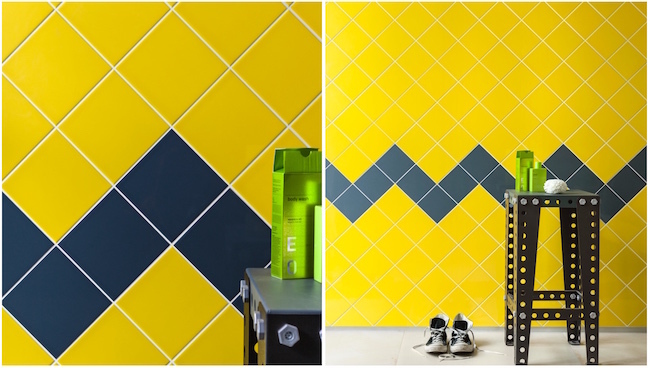 Whether you’re looking to make a bold statement with colour or wanting to embrace the latest trend for industrial finishes, tiles are the perfect way to get creative in the home. From modern kitchen ideas to traditional bathroom suites, there are so many ways to inject personality into your interior. To help you find inspiration and decide what your tile style is, we’ve put together a selection of four very different looks to show you just how versatile tiles can be. 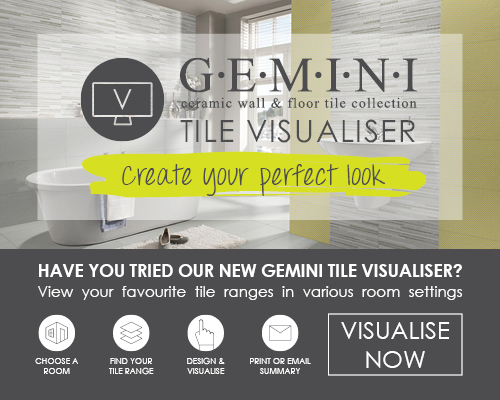 Take a look and let us know what your favourite tile style is on our Facebook and Instagram! A twist on modern kitchen design, the Rock 3D textured tiles work perfectly when teamed with a contemporary marble worktop and deep on-trend blue palette. A great example of how grey tiles can be both exciting and add interest to a space, a textured tile like this is ideal for those wanting to make a subtle yet stylish design statement. It’s fair to say that over the past year or so, we have begun to welcome colour back into our homes. Whilst greys and beiges will remain a popular staple palette, we’re getting braver and we’re beginning to inject bright and colourful shades into certain rooms in the home. The bathroom is the perfect place to experiment with our colour selection. Modern bathroom designs are increasingly combining a number of different shades to ensure the scheme truly stands out. Here, not only do our Reflections tiles make a statement through colour but also through the way that they have been placed. A dark zigzag running through the wall breaks up the bright yellow wall and adds that final touch of playfulness to the space, perfect for a kids bathroom or guest contemporary guest bathroom. Achieve a stylish classic bathroom look by pairing a muted palette with subtle pattern. Our Frame collection comes in plain and decorative tiles in a range of colours, making it extremely easy to pair pattern and colour together to create a beautifully calming neutral bathroom scheme. Team the White and Khaki tiles with the subtle hints of blue of the Decoro Milk tile for a pared-back yet statement style. There’s no denying that the trend for industrial interiors has grown from strength to strength. Making its way through every room in the home, bringing a touch of urban style into the kitchen has never been easier. Reminiscent of exposed brickwork, our Terramix Nero tiles create an industrial, rustic kitchen space. Featuring different dark and deep colours, the natural shade variations on each tile match perfectly with a moody colour scheme and are guaranteed to make a true contemporary kitchen design statement. So, what’s your tile style? Are you cool and contemporary or a classic and neutral kind of person? Tell us what you think and join the conversation on social media!